Free local shipping over $100. Johnston Opals was established in 1901 and has been one of the leading family-owned and operated opal shops ever since. Over the years, we’ve established a reputation for our outstanding quality workmanship and high attention to detail. 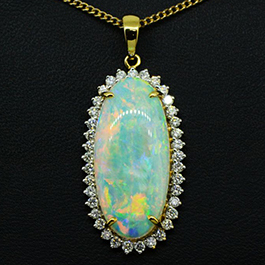 We pride ourselves on stocking an extensive range of opal jewellery for you to choose from, including opal necklaces and opal engagement rings in Australia. 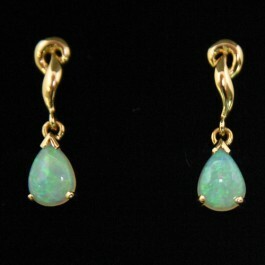 Opals are synonymous with Australia. Opals are a great gift for that special someone in your life, or perhaps you’re in the market for a uniquely Australian memento. A huge percentage of the world’s opals are sourced directly from Australia, which produces some of the most beautiful and individual opals in the world. We have a comprehensive range of products to choose from in a variety of different colours and styles, ensuring you’ll find something to suit your requirements, tastes and budget. We stock a huge variety of Australian opal rings, pendants, earrings, watches, brooches, bracelets, cufflinks, carvings, necklaces and a variety of other jewelry pieces. 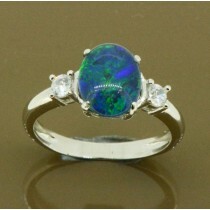 We also carry beautiful opal engagement rings in Australia for a unique alternative to traditional diamond rings. Tax Discount: We offer a 9.1% tax discount to overseas shoppers – Perfect for those looking for an authentic Australian souvenir. SSL secure site: Providing you with security and reliability in all of your online purchases. Insurance: All purchases are fully insured to offer you maximum security, reliability and peace of mind. 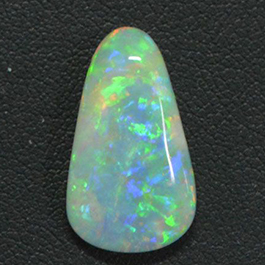 We’re proud to be one of the leading providers of opals Australia wide. Feel free to visit us at our Melbourne showroom at 124 Exhibition Street, where our experienced and friendly staff will be more than happy to assist you with all of your opal jewellery needs.